An honest-hearted cab driver is being praised for returning hundreds of dollars worth of fare to a Chinese-American tourist after they accidentally overpaid. 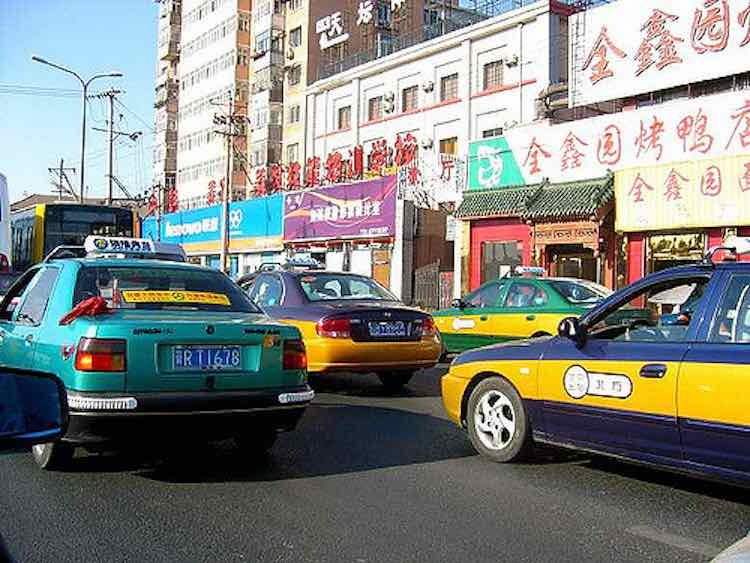 The Chinese driver, Zhang Peng, had been working in the capital city of Xian in the Shaanxi province when he checked the online wallet of his WeChat app and saw that one of his passengers had paid 6,500 yuan for a 65 yuan fare. For perspective, that’s paying about $950 for a $9.50 ride. Peng suspected that the payment had been a mistake – and based on the time of the payment, he guessed that it had been made by four tourists who he had picked up from the train station and dropped off at a nearby hotel. When he failed to contact the group through his dispatchers, he simply went to the hotel where he had dropped them off and explained the situation to the clerk at the front desk. The man who made the payment came downstairs to meet the cab driver and was stunned to hear about his mistake. It was his first time visiting the Chinese city, and he says that he had been confused by the app’s online payment system. “These systems like WeChat Pay and Alipay are all new to me,” he said, according to the South China Morning Post. He was even more stunned when Peng turned down a reward and insisted on refunding him all of the excess fare. Needless to say, the tourist left him a sparkling review on WeChat.